The latest version of the book entitled In Situ Soil and Groundwater Remediation: Theory and Practice will be rolling off the presses this month. It is a technical reference work about remediation without the need for excavation. Previous versions of the book provided information about new technologies in this field. After eight authors spent four years writing the book, they now publish an update with improvements and refinements. The book, published by Tauw, shows the developments in the world of soil remediation. Co-author Frank Volkering: "From the 1990s until 2005, a lot of development took place with the use of governmental programmes. Things are different now, the discipline has grown up. If we develop any technologies or concepts these days, it's virtually always done during regular projects, together with the customers and the contractors or on our own initiative." All kinds of disciplines play a role in tackling soil contamination such as microbiology, chemistry and civil engineering. All these areas are experiencing innovations that are important to soil remediation. The methods to distribute substances in the soil have improved, for instance. And it is also clearer now how trees can contribute to soil contamination. That is why the soil specialists were working on a revision of the book, in addition to their jobs as soil consultants. Annemieke Nijhof, the CEO of Tauw Group, expresses her pride in the foreword. She thanks the authors, who did this work voluntarily and mostly in their spare time. But also the clients, who weren't afraid to let Tauw's professionals try out new technologies during their soil projects. Nijhof: "Because they gave us the opportunity, our young engineers were able to learn by trial and error and become experts in situ remediation. That's why the discipline has grown up." The authors are Emile Marnette, Charles Pijls, Frank Volkering, Tobias Praamstra, Bert Scheffer, Marian Langevoort, Dirk Paulus and Ronnie Berg. The book is an excellent reference work for professionals and is highly recommended for educational purposes. 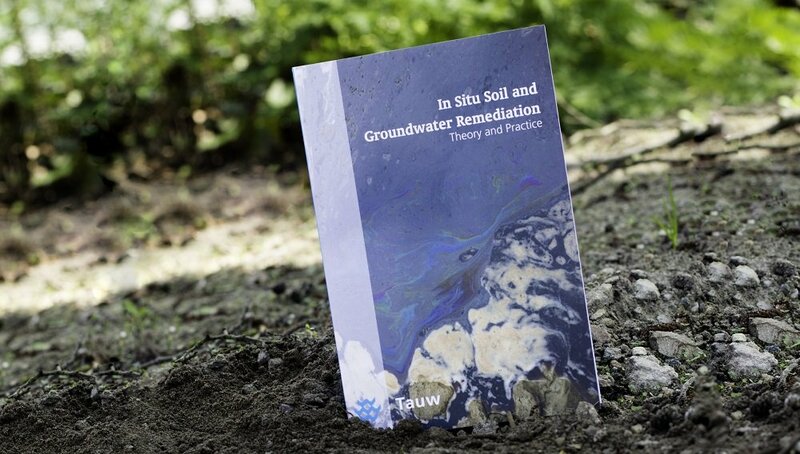 In Situ Soil and Groundwater Remediation: Theory and Practice was written in English and can be purchased on Tauw's website. More information about this book and how to order.